Does Picking Consecutive Numbers Boost Your Chances of Winning the Jackpot? Have you ever thought about coincidence? It’s like that deja-vu feeling that you get when you think you’ve seen something familiar for the first time in your life. 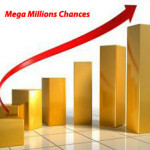 Now a lot of lottery players think that picking consecutive numbers have nothing to do with winning the lottery – they believe in only one thing – coincidental luck! That is just an assumption, however, many times consecutive numbers are drawn in the lottery. Let’s take the case of the German lottery, for example. A reputed mathematician stated that from 1955 to 2011 approximately 5,026 lotteries were drawn of which in 2,557 cases, there were consecutive numbers drawn alongside other numbers! According to the mathematician, the likelihood of consecutive numbers is around 2,557/5,026 = a whopping 51%. 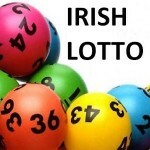 Having said that, an increasing number of lottery players prefer to choose consecutive numbers as they feel that they have derived the pattern, thereby, improving their chances of winning a jackpot. Let it be known that no matter what strategy you choose, no matter what technique you work with when choosing numbers, the probabilities remain constant. There’s absolutely no way you can literally increase your chances of winning a jackpot, unless you buy as many lottery tickets as you can! The human brain, apart from being extremely flexible, has a way to construct its own patterns before the body even tries it out. For instance, if you see traffic, your brain picks a pattern automatically, deciding where to begin to get out of it. It happens to me, so it will happen to you! 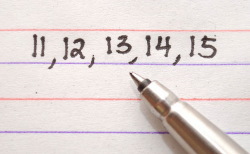 Are You Ready to Hear the Truth about Consecutive Numbers? When we’re going on a date, for instance, we know the pattern beforehand, i.e. you can’t have an ice-cream before a meal! The point is, the brain knows its way out, but when it comes to the lottery, it just doesn’t work because we can’t see the overall picture of how things are going to end up. In a similar way, the brain quickly recognizes a sequence containing more than two consecutive numbers. This inspires lottery players to enter numbers based on certain patterns that include consecutive numbers rather than using birthdays and anniversaries. The problem here is that because many time consecutive numbers are drawn, more and more people use this strategy to win the jackpot, which in turn increases your likelihood of having to share the pot with many other players if you win the jackpot. For instance, on the 23rd January 2008 the jackpot was worth £5,585,136, but the bad news is that there were four winners so each took home around £1,396,284! The odds of winning the jackpot, no matter what numbers you choose or which strategy you apply will remain 1 in 13,983,816! So to answer your question, no, picking consecutive numbers does not boost your chances of winning the jackpot!